How The Green Man story began. After taking over in March 2014 we begun an eight week refurbishment inside and out, from top to bottom. We took great care on the interior design and worked with teams of contractors to give “The Green Man at Lindsell” a new lease of life. On the 9th of May we opened the doors and were overwhelmed with the support from our local community and since then have had customers old and new frequent us. Offering a range of Menu’s from sharing planks and pub classics to a full a la carte dining experience we endeavour to deliver a first class service with delicious food to match in comfortable surroundings. Our bar is cosy and warm with its exposed beams and log fire where you can enjoy a jug of our guest ale, a glass of fine wine or a bubbly cocktail. We offer an extensive bar menu with tapa’s and pub classics throughout the week alongside our winter warmers menu and a la carte. Our bar is cosy and warm with its exposed beams and log fire where you can enjoy a jug of our guest ale, a glass of fine wine or a bubbly cocktail. We offer an extensive bar menu throughout the week alongside our winter warmers menu and a la carte. The restaurant is a stylish space offering a versatile environment for a variety of occasions from an intimate meal for two to a family and friends celebration for parties up to 45 guests or exclusive hire for up to 70 guests. Our full a la carte menu changes every month to give our customers the best, fresh seasonal produce. We also have extensive garden space for Marquee’s to host weddings and special occasions. We are always happy to welcome children in our restaurant and have a great garden for them to explore. Our restaurant is fully accessible to wheelchair users and we have separate restroom facilities. 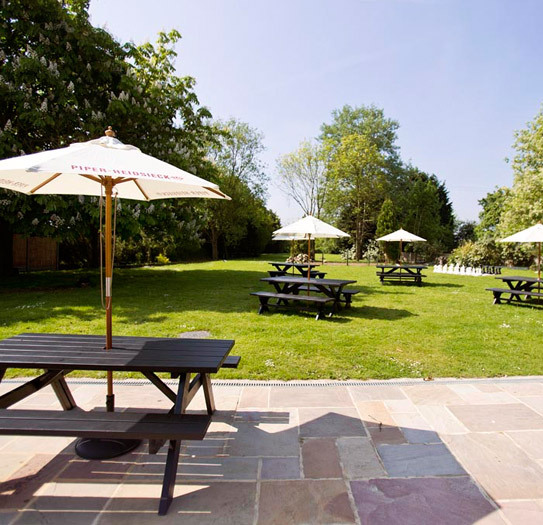 Our terrace and garden area are not to be missed with outside seating and dining tables, children’s chess set, bouncy castle, beach hut’s and goal posts to keep the little ones amused. We offer an extensive menu for alfresco dining and have seasonal specials such as barbecue planks and mezze platters to lobster thermidor and rib eye steaks. If your looking for front of house work within our fine establishment and have experience within the restaurant and bar business or perhaps you don’t have experience yet but would love to learn, then please contact us as we may well have a position for you. Please call 01371 852285 or contact us online.